JD.com, the second-largest online retailer in China, has launched a fundraising round for its logistics unit. The e-commerce giant aims to raise a minimum of $2 billion. According to sources the Chinese online retail giant intends to have the logistics unit publicly listed overseas in the future. A select group of financial backers have been invited in the fundraising round for the business, JD Logistics, currently valued at approximately $10 billion. Major e-commerce firms in China have engaged in efforts aimed at bulking up their logistics units in order to support their ambitions of expanding globally. Additionally the logistics businesses offer a way of boosting revenues when services are offered to third-party entities. 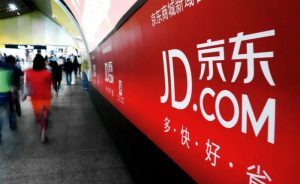 Chinese investment firms such as Sequoia Capital China and Hillhouse Capital group are expected to be the lead investors in the funding round of JD Logistics. According to sources a couple of international investors as well as state-owned firms have also expressed interest. Demand is expected to be so strong that smaller investors bringing in amounts of just $100 million, which is the floor, will be required to show proof that they will assist the logistics unit in getting new business. At the moment JD Logistics is wholly owned by its parent company JD.com. Some of the investors in JD.com include Tencent Holdings and Hillhouse Capital. With the fundraising a possible spinoff, JD Logistics would obtain a level of independence which would allow the firm to offer logistics services to third-party entities. This would pit the firm against Cainiao, the logistics network of Alibaba as well as courier services that include SF Express. In the recent past logistics firms have been seeking investments aimed at funding initiatives aimed at solving supply-chain issues and innovation. This include smart logistics services, cross-border logistics, automated warehousing and autonomous driving. In China, JD.com was the first firm to make an investment in drones. The fundraising by JD.com coincides with the Chinese online retailer investing in Tiki.vn, an e-commerce firm based in Vietnam. VNG Corp, a social media and entertainment Vietnamese firm which is already an investor in Tiki also participated in the investment round. “With JD’s expertise in leveraging social media for e-commerce, Tiki.vn’s partnership with VNG in social network and mobile payments is a natural fit,” said Winston Cheng, JD.com’s president of international business, in a statement. JD.com has been making a strategic expansion in Southeast Asia and Vietnam is only the latest country. In the last one year Amazon and Alibaba have also invested significantly in the region.